Shoe storage. 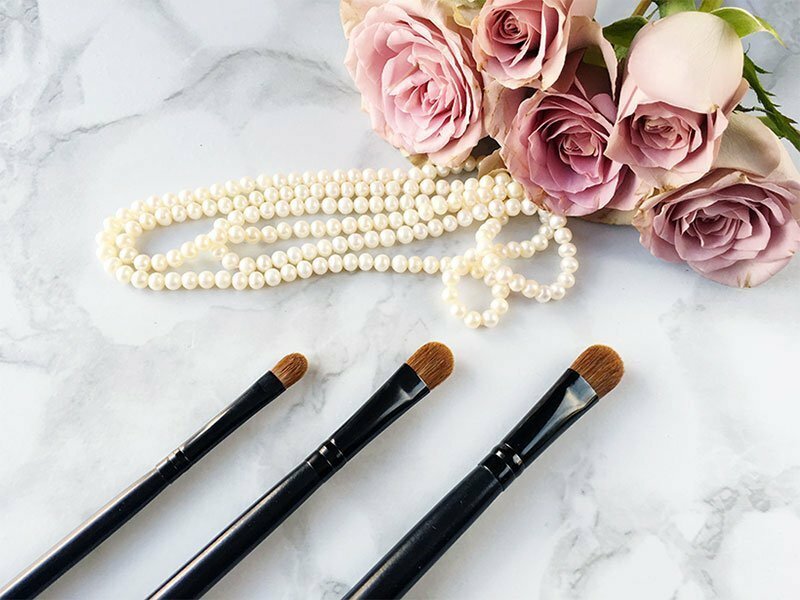 From racks to boxes, and bags to drawers, the options are endless. Having said that, if you’re like me, you might not have given much thought to organizing your shoes. After all, who wants to shop for a shoe rack, when you could be shopping for shoes? But when you realize there are no less than five pair of shoes residing under your kitchen table (and they all belong to one person! 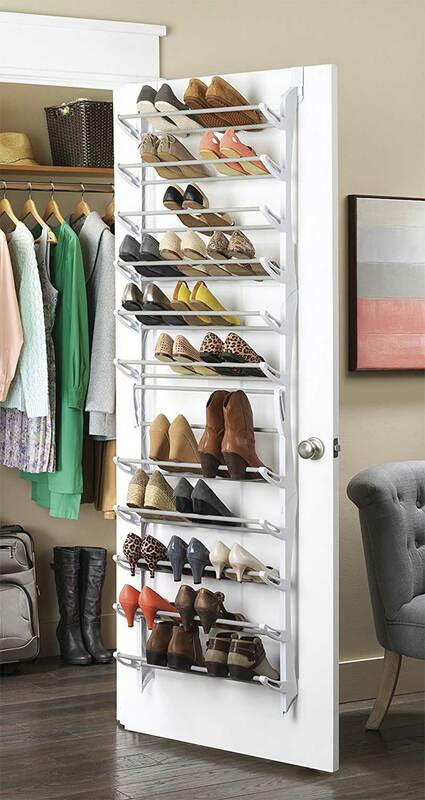 ), it’s time to start shopping for shoe storage. 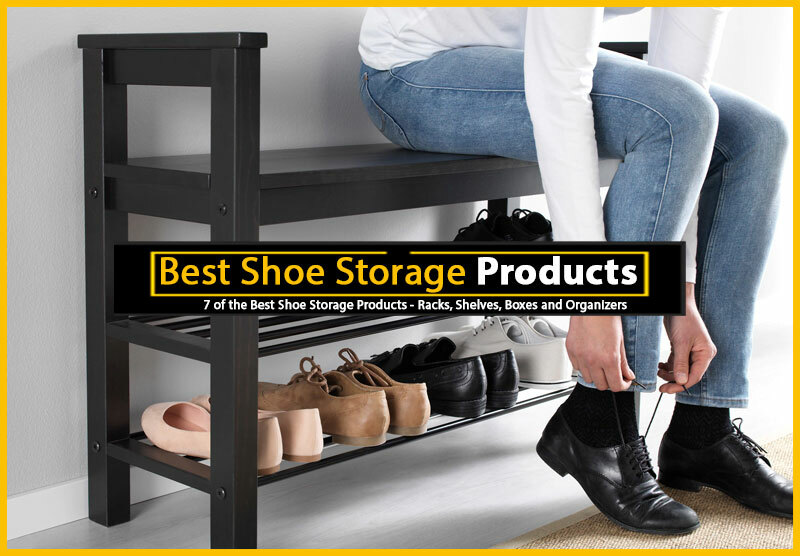 Below are a few of the best products I’ve come across for organizing and storing your footwear. As far as I’m concerned, drop-front shoe boxes are one of the best methods of storing shoes. Ever. And, while they’re certainly not the least expensive shoe storage option, they’re not crazy-expensive either — especially if you opt for plastic boxes like the ones shown here, which run about $10 for the small size and $15 for the larger boxes. Oh my, this shoe rack is cool. If you have a space about 36 inches wide, ten inches deep, and less than five feet tall, this is the shoe rack for you. It is freestanding, and the seller claims it locks together easily in seconds. 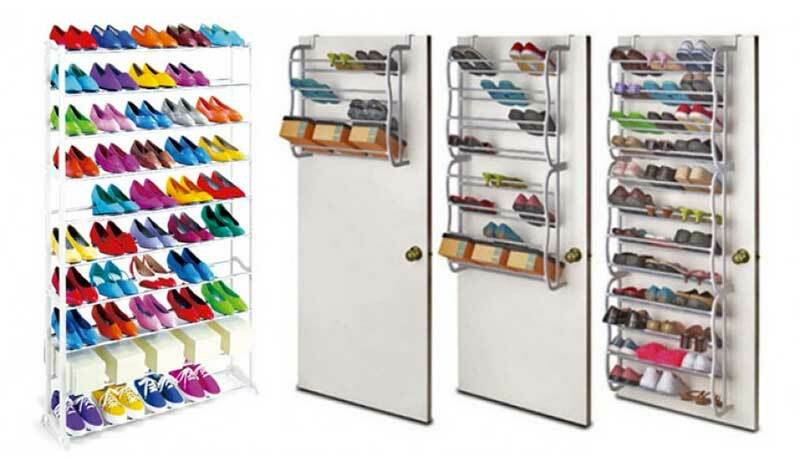 Holding up to fifty pairs of women’s shoes, this may just be the shoe rack of your dreams. Also available is a thirty pair model – but, who are they kidding? You don’t have to smash your shoes into plastic compartments, or stretch them over metal hooks to make use of an over-the-door shoe rack. In fact, what I really like about this shoe rack is that it actually allows you to sit your shoes, side by side, on little mesh shelves, while still hanging unobtrusively over the closet (or any spare) door. This over-the-door shoe rack will hold up to two dozen pairs of shoes and will easily hang over most standard doors, or can be mounted to the wall. My favorite thing about this system is that it displays the shoes upright, instead of in pockets. It also has adjustable shelves to accommodate shoes or boots of any height. 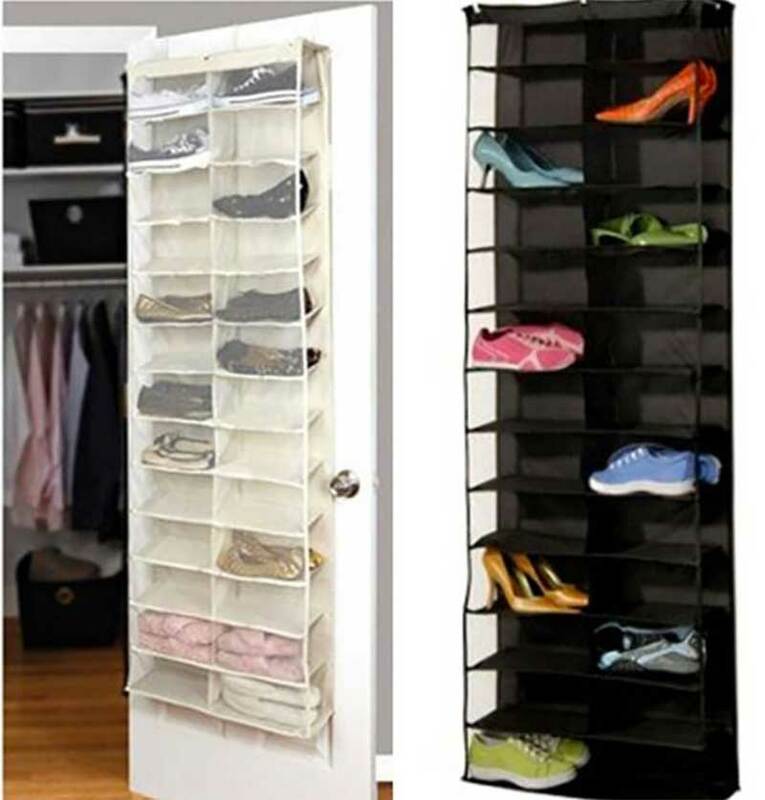 These shoe organizers have open ends for easy access. This version holds 20 pair of shoes, but there are also versions that will hold 30 or 40 pairs. If you’re looking for easy access to your shoes, and want a clean design, you should definitely check out these shoe cubbies. 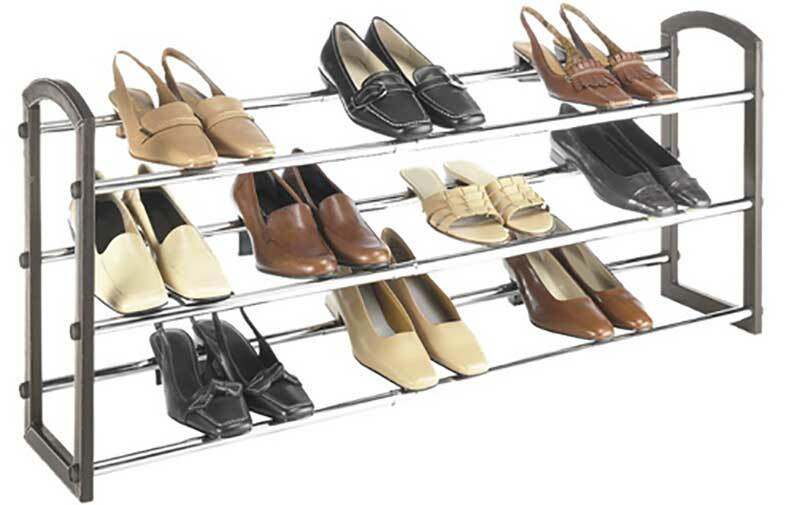 In addition to getting big points for being chrome, this shoe rack is also expandable from 24 inches to 46 inches wide, accommodating a lot of shoes. It has a very clean and contemporary look, and would be the perfect option for anyone who is looking to turn an extra shelf or a bit of extra floor space into a happy place for shoes. When it comes to any form of shoe storage, I have a very simple theory: clear is cool. 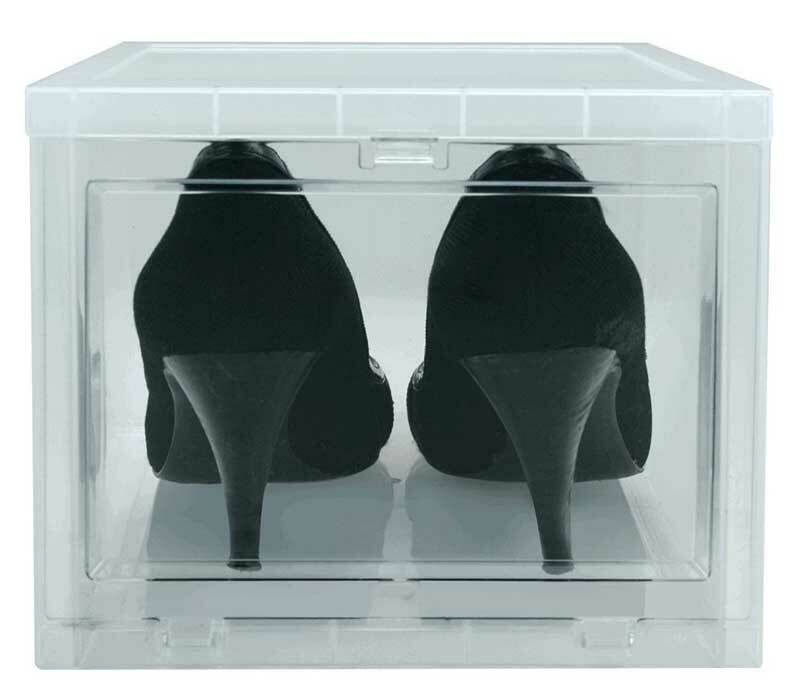 And these clear shoe drawers are the coolest. They come in two sizes and they are stackable. 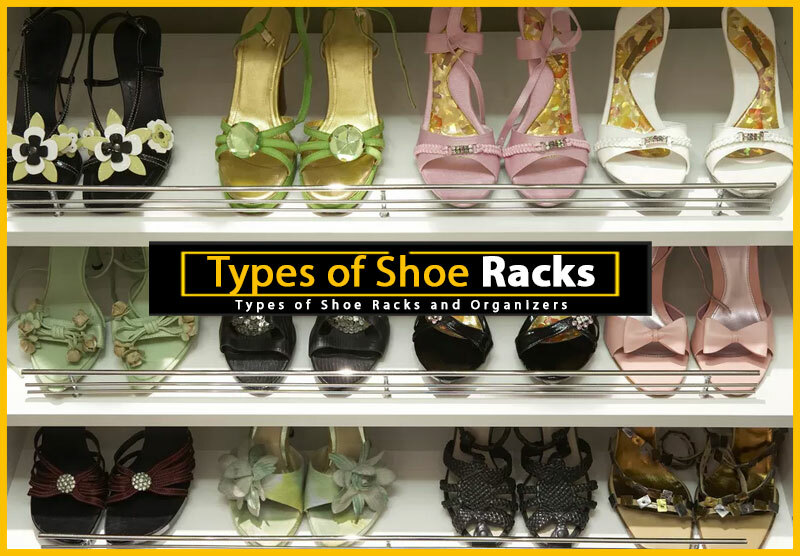 Unfortunately, they don’t share the same footprint, so you can’t neatly stack the two sizes on top of each other — but still, you could do a section of each, or all one size, and set up quite a nice system of shoe storage.